When will be Botched by Nature next episode air date? Is Botched by Nature renewed or cancelled? Where to countdown Botched by Nature air dates? Is Botched by Nature worth watching? In Botched by Nature the famous doctor duo Dr. Nassif and Dr. Dubrow are taking the show on the road and heading cross country to change the lives of those who have been botched by genetics or a traumatic incident. The new one-hour, eight episode series follows the nation-wide pursuit of these plastic surgeons as they seek to transform the lives of patients willing to share their powerful stories with the world. 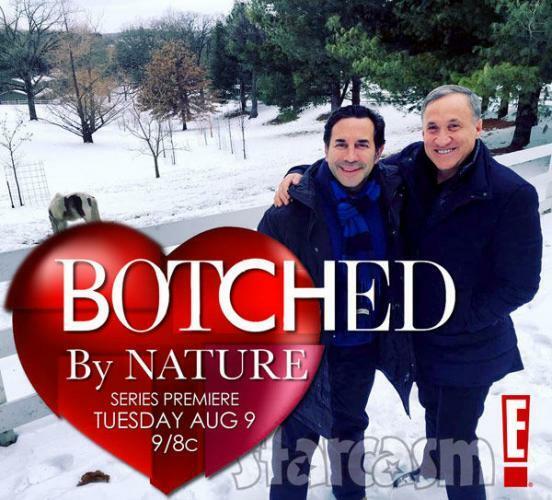 Botched by Nature next episode air date provides TVMaze for you. EpisoDate.com is your TV show guide to Countdown Botched by Nature Episode Air Dates and to stay in touch with Botched by Nature next episode Air Date and your others favorite TV Shows. Add the shows you like to a "Watchlist" and let the site take it from there.